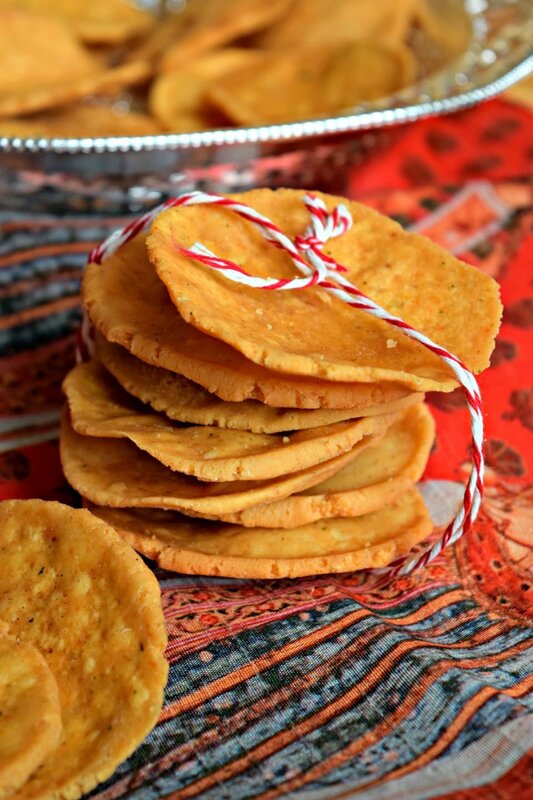 Thattai is an authentic & traditional South Indian crispy dry snack made using rice flour. It can be made on festive occasions like Diwali & Thanksgiving. Dry snacks make a great gift during holidays! So if you are thinking of packing up some goodies for your friends and family during this festive season, you must give this recipe a try. 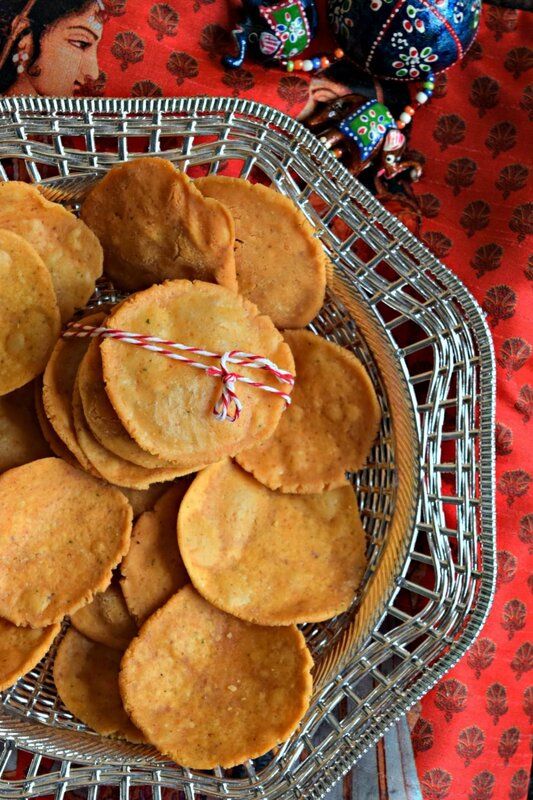 Although it’s a traditional South Indian crispy dry snack called Thattai which is made during Indian festival days like Diwali, Raksha Bandhan, Gokulashtami, Tamil New Year, etc, who says we cannot make it during any other festive celebration like Halloween, Thanksgiving and Christmas! These snacks stay good for a long time if stored well, hence it’s ideal for gifting purpose. After all don’t we all love handmade delicious treats! Thattai is made using rice flour and it gets its unique name due to the action used in shaping it. The dough balls are placed on a plastic sheet and flattened using your fingers. This action is what gives this recipe its name. I remember my grandma making this crispy snack not just on festive days but whenever we were craving for it. She made the best Thattai in the world. I can still remember the taste of it. Back then she would not let us help her at all, she would do it all herself. This time for Diwali, I wanted to recreate her recipe and hence took it down from my aunt along with all small tips she had to offer. This is hence a fool-proof recipe which you can follow to the T and get the same result. 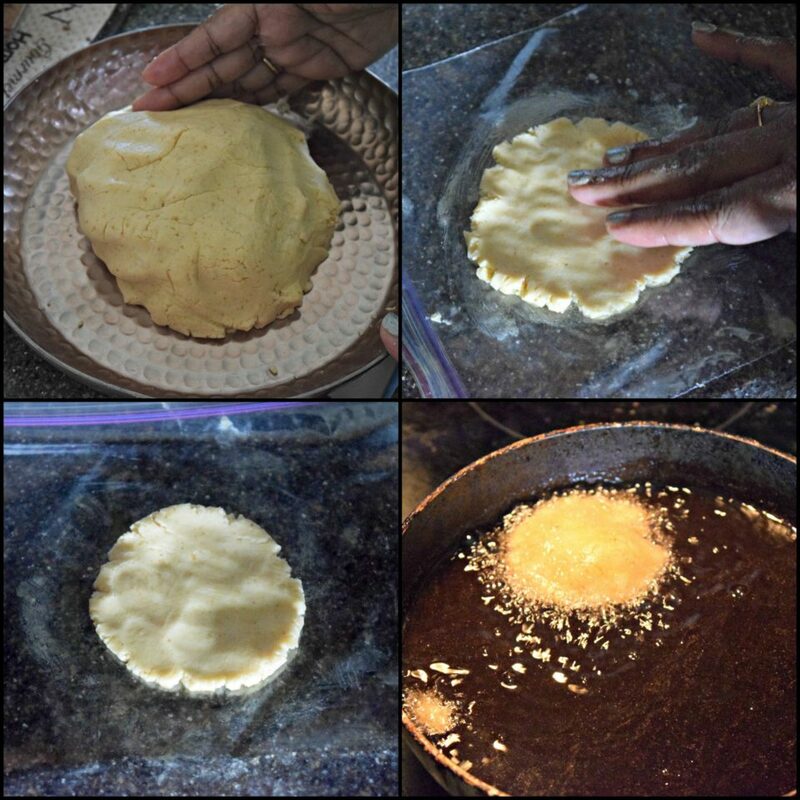 , smear some ghee on the up side and place a ball on top of it. Using your fingers, flatten it like shown in the picture. Carefully remove it from the plastic and fry them till they turn golden brown. Strain them in paper towels to soak up the excess oil. Once it’s cool, store it in airtight containers and devour them as and when you like. Let me warn you in advance, Thattai is super addictive. 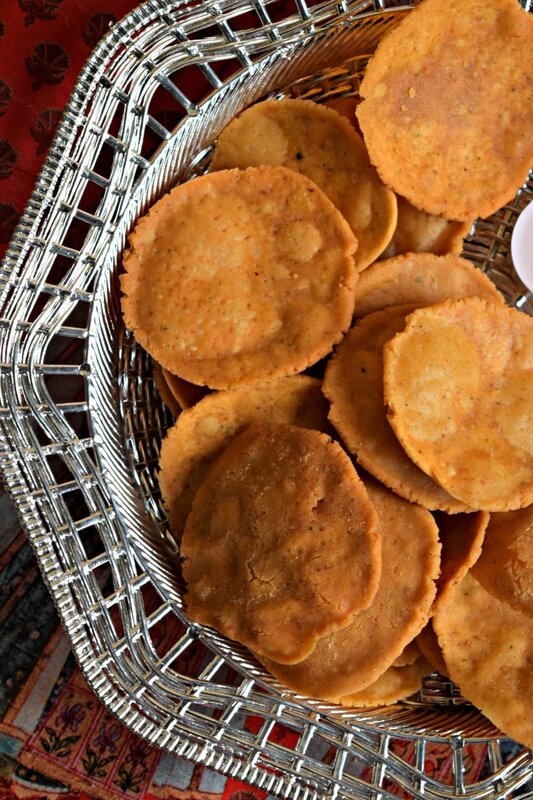 It’s crunchy, crispy with a hint of spice and extremely delicious. Our annual Diwali party was a success. We all got together in festive wear, burst some fire crackers in our backyard, clicked happy pictures and ate lots of food. The menu was Sultani Dal, Potato Curry, Kerala Egg Puffs, Chana Chaat, Cabbage Raita, Oreo Bark and Boondi Rabri Parfait. I had also made Diwali hampers for all my guests as return favors. Had packed Thattai, Chocolate Rava Laddu, Coashew & Condensed Milk Cookies and Parmesan Biscotti in them. Most of these recipes I will be sharing on the blog soon. Keep checking this space. Dry roast roasted chana dal and urad dal in a pan till then turn light golden. Be careful to not burn it. Let it cool. Once it cools down, grind it to a fine powder. Sieve rice flour and add it to a mixing bowl. Then add the ground powder, salt, chilly powder, asafoetida, dried cilantro, white sesame seeds and roasted chana dal. Knead into a dough using water, either with your hand or in a food processor. Add ghee while kneading. Cover the dough with a damp cloth so that the dough doesn't dry up. Heat oil for frying. Divide the dough into medium size balls. Take a zip lock bag, smear some ghee on the up side and place a ball on top of it. Using your fingers, flatten it like shown in the picture. Carefully remove it from the plastic and fry them till they turn golden brown. Strain them in paper towels to soak up the excess oil. Once it's cool, store it in airtight containers and devour them as and when you like. To make it gluten free, skip adding asafoetida. 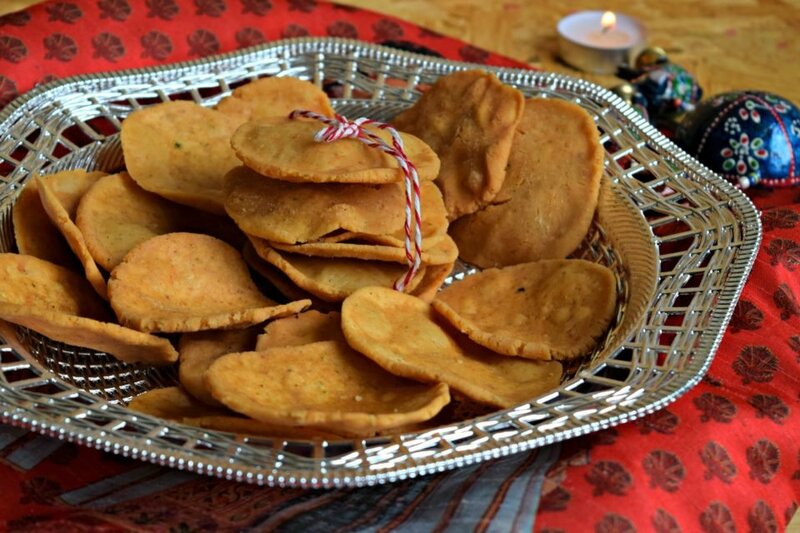 Like Thattai which is a fried Indian savory snack, I have tried my hand at a couple of other such dry snacks last year for Diwali – Chegodilu/Ring Muruku and Sabudana Chakli. You can look them up as well. These dry snacks are great for afternoon or midnight munching. 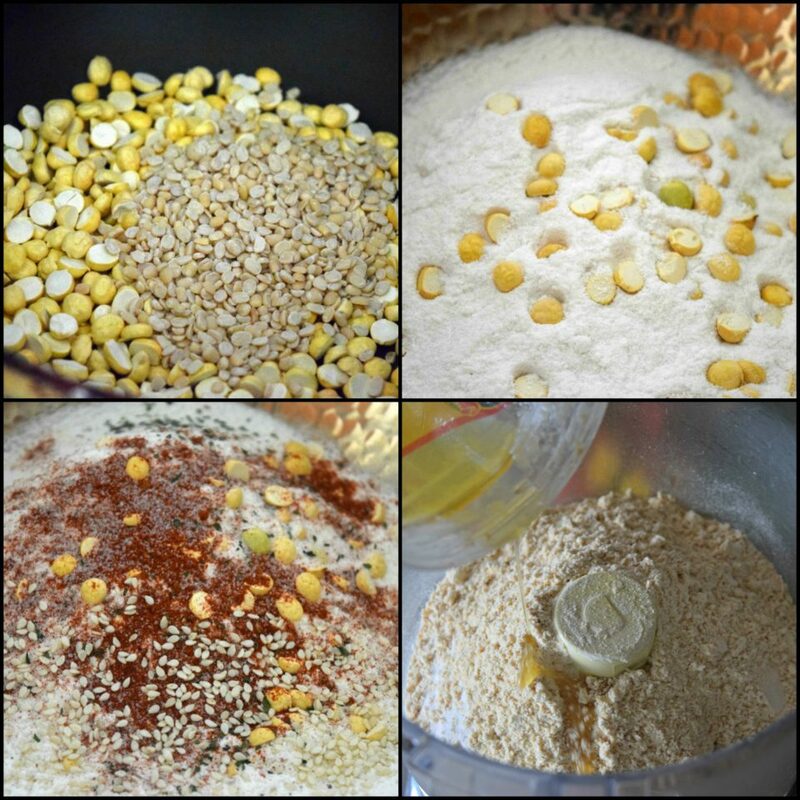 You can actually make Baked Thattai (I have not tried baking it yet) to keep it low-fat and enjoy it guilt free. 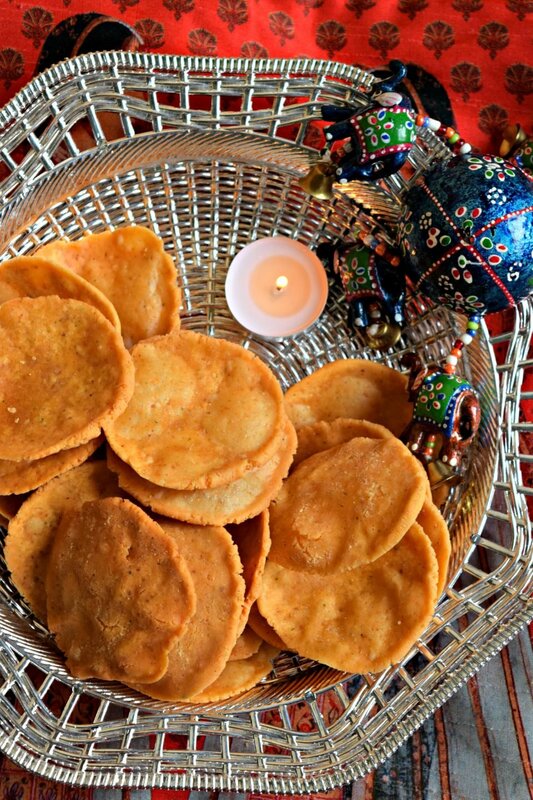 I hope you try an Indian snack this holiday season and impress your guests. It’s something different and tasty!